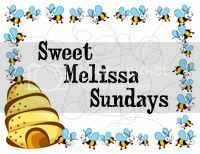 This week's Sweet Melissa Sundays (SMS) recipe was chosen by Michele of Veggie Num Nums: Perfect Pound Cake. One of the few recipes I've been less than impressed with in baking along with Tuesdays with Dorie has been the Perfection Pound Cake. It was a bit dry and I would chock it up to baker error but several others made the same observation as well. So I was curious to see how this pound cake compared. Thanks Michele, for choosing this recipe. 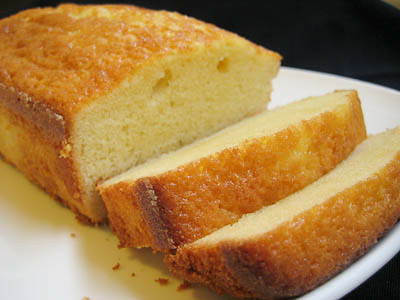 I may have found my go-to pound cake recipe (just have to make it again as directed to see if it's still just as great). If you would like the recipe, you can find it here. Gorgeous pound cake! I'm so glad it was such a success for you! Your cake looks awesome Jaime! Glad it worked out even without all of the flour :) Seems like a fortunate error since a lot of the SMS'ers said their cake was dry, though I really enjoyed it. Great job even leaving 1/2 cup of flour out!!! The cake looks fantastic! And the overall consensus seems to be the cake was a bit dry, so that was a great accident. Why bother with perfection....the cake looks divine!!!! Haha, I'm terrible at forgetting to add things. The gingerbread we made a few month a go turned out really dry then I noticed a cup of veg oil sitting on my counter. I forgot to add the fat, silly me!! my cake definately doesn't look as moist as yours. but whatever works for you!! I have only seen/read one other SMS about the pound cake and they thought it was dry. Maybe the recipe should be written with less flour! ;) Looks great. Well, I totally messed up mine, and forgot to add the butter, but I'm going to make a note in the margin to try adding less flour in the off chance that I make it again. I'm glad that it was a success for you -- it certainly looks moist and delicious! So perfect and so moist! Less flour seemed to work for you, LOL. Sometimes mistakes just work in your favor. 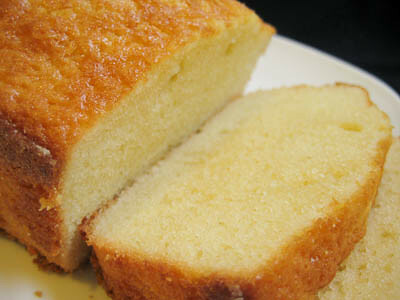 That is a great looking pound cake, I mus say. I've not tried baking one as yet. Just too scared of all the butter that goes in! Your cake looks fabulous--i know some bakers found the cake dry, but mine was moist. So who knows? 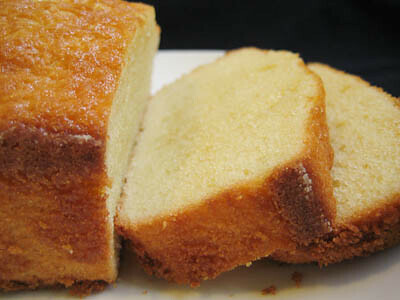 Your pound cake looks lovely. Thank you SO much for baking with me!! What a great 'mistake'. As far as what I've heard, people found this too dry! Seems like you altered it perfectly!! Hi, i love the look of your cake. I was reading the two recipes, the one in veggie num nums add heavy cream and the one in your old post of this pound cake doesn't. This confuse me a little. Dis you add heavy cream in this final cake? I think the detail of the heavy cream is important to get a moisture cake... Thank's and congrats... Your blog is really good!